Jennifer Kreatsoulas , PhD, E-RYT 200, RYT 500, is a yoga teacher and yoga therapist specializing in eating disorders and body image. 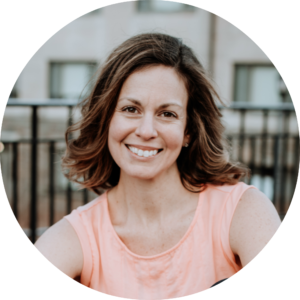 Recovered herself, Jennifer is extremely passionate about helping others reconnect with their bodies and be empowered in their lives. She teaches yoga at the Monte Nido Eating Disorder Center of Philadelphia and is a partner with the Yoga and Body Image Coalition. She leads trauma-sensitive yoga classes and teaches weekly flow yoga classes. In this week’s blog post, Jennifer offers some tips to help maintain recovery during the holidays. The holidays can be a season of conflicting emotions and desires. For me personally, I feel joy and overwhelm, excitement and anxiety, carefree and out of control, happy and unsettled. After years of persevering to make my recovery a priority during the holidays, I’ve observed that emotional collisions can significantly affect hunger and fullness cues. So not only are feelings at odds with one another, but the natural sensations that we in recovery work so tirelessly to understand and honor, can also become confusing to decipher. If all this goes unchecked, we may find ourselves on a downward spiral of eating disorder thoughts and behaviors before we ring in the New Year. Trust me, this is not to diminish the sheer guts, courage, and perseverance it takes to maintain recovery during the holidays. We are bombarded in ways that may be very uncomfortable, overwhelming, and outright triggering. All those external factors can flood our minds and emotions, which is exactly when we want to take refuge in the eating disorder. Disconnect. Numb. Distract. Sound familiar? Years ago, my therapist told me that recovery is about having choices. When we are ruled by “ED head,” we do not have choices; everything is off limits or has a consequence associated with it, which seriously limits our range of choices. Her words have stuck with me and made a big difference in my relationship with my recovery, including during the holidays when it may be enticing to numb out. But, I have a choice, and YOU have a choice: We can get pulled under or commit to doing our best to not let that happen. Here’s 3 rules that I live by to help me choose recovery when I want to check out, like during the holidays. Pick the one that resonates with you to help you maintain recovery during the holiday season and beyond. No. 1. Have a safety net to keep you honest. I have a pact with myself that, unless I am actively continuing forward in my own healing, I cannot work with others in recovery. In this way, my work keeps me honest. It’s my safety net. It’s the thing that keeps me in check from getting off my recovery path. When old fears show up and tempt me to starve, my work keeps me honest. When the urge to drop weight or obsessively body check comes on strong, my work keeps me honest. I think of my passion for my work and the trust I am asking of my clients, and know that, if I do not choose recovery, all that goes away. What keeps you honest? Who or what is vitally important to you and can be your safety net? It’s ok to use external motivators to get us through intense times. Continue to ask yourself this question until you find the answer. Hold that answer in your mind and heart, and look to it to help you stay on course. You will be thankful for that safety net, and you will feel renewed by a sound sense of purpose. I promise. No. 2. Recognize struggle, but don’t settle. There’s no shame in struggling. In my opinion, the struggle is work not failure. It’s just as worthy of an experience as a struggle-free day. The important thing about struggle is not settle in or for struggle. We can get caught up in telling ourselves a narrative about how hard we are struggling and literally get sucked in so deep that struggle turns into a downward spiral. Sometimes a relapse is what we need to ignite the healing process, but other times, maybe even most times, this is not the case. Keep yourself honest about the struggle and don’t settle to let it take over you or your holidays. This is the time to rally and call on your supports, do activities that are empowering, carve out quiet time, or see friends who are uplifting. We all have our tricks for pulling ourselves out of a funk. You deserve to take the time to do those things, no matter how hectic the holiday season is. You deserve to not settle. No. 3. Resolve to evolve. Just because the holidays were difficult last year or the past 15 years, that does not mean that this year will be or must be the same. We have the choice to do the holidays differently this time. We can resolve to evolve. Reflect on what’s been hard in the past for you. What’s made the holidays challenging? How did you use the eating disorder? Look hard at your choice, patterns, and habits this time of year. What small shift can you make in how you respond to a triggering person, place or thing? What are some ways you can respond that don’t involve taking it out on food or your body? This is about playing offense instead of defense. In other words, the holidays can leave us feeing out of control, but we can flip that thinking by taking charge. When we are in charge, when we remember we have choices, when we resolve to evolve, we empower ourselves and make recovery a priority. I recognize that these rules ask a lot. They require we work hard and stay connected to present moments that are uncomfortable and maybe even painful. But these rules also inspire a proactive attitude and a committed effort to incorporate recovery into our lives, not keep it off to the side or treat it as another “job.” We must remember that we have choices, and this holiday season, let’s all do our truest best at maintaining recovery by staying honest, not settling, and resolving to evolve.